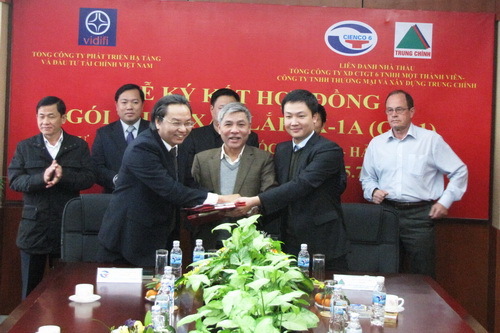 On 07 January 2013, Vietnam Infrastructure Development and Finance Investment Joint Stock Company (VIDIFI) and the Joint Venture of CIENCO6 – Trung Chinh Trading & Construction Co., Ltd held the Contract Signing Ceremony for Package EX-1 (Phase I) under the Hanoi – Hai Phong Expressway Project. Attending the Ceremony was Mr. Nguyen Van Tinh – General Director, Mr. Nguyen Duc Minh – Deputy General Director and Mr. Pham Van Bong – Deputy General Director of VIDIFI; Mr. Anthony William Jhnston – Project Director of MI-VJEC Joint Operation; Mr. Nguyen Gan Thanh – General Director of CIENCO6 and Mr. Tran Quang Viet – General Director of Trung Chinh Trading & Construction Co., Ltd; leaders of various Departments of VIDIFI; represenative of Economic Police Department – Ministry of Public Security and representatives of Board of Supervisors, contractor, etc. Package EX-1A (Phased I) is financed by the Vietnam Development Bank (VDB). Package EX-1A (Phase I) with station from Km0-420.000 to Km1+065.74 goes through Long Bien and Gia Lam districts, Hanoi. 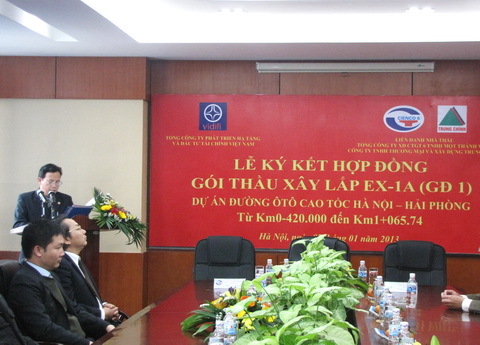 The Package was conducted in form of the international competitive bidding among Vietnamese, Korean and Chinese bidders. 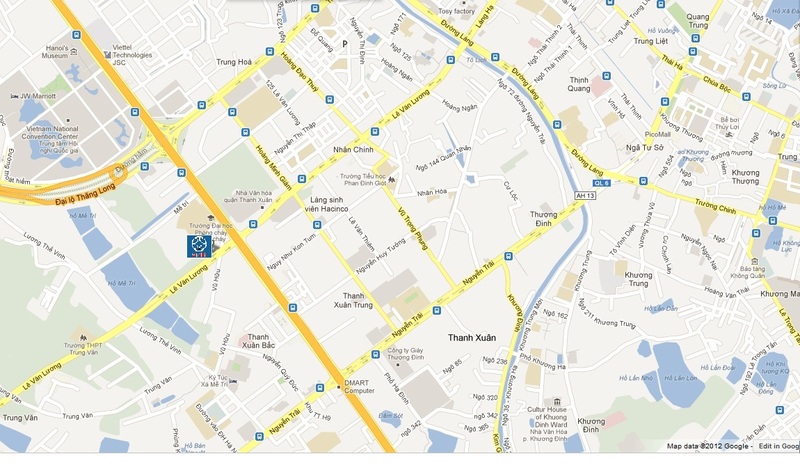 The successful bidder is the Joint Venture of CIENCO6 and Trung Chinh Trading and Construction Co., Ltd. The Ceremony was held successfully.